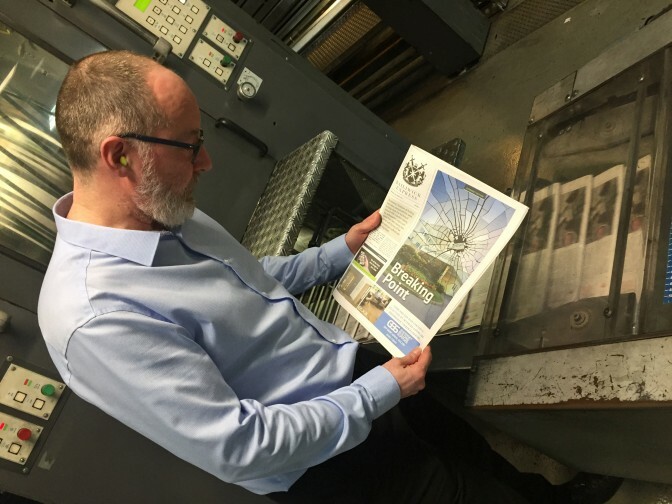 A new weekly newspaper which will be distributed free to almost 70,000 homes is set to be launched in a reverse publishing venture. Bailiwick Express, which covers the Channel Islands, has announced its expansion into print after five years as a digital-only business. The Express launched a Guernsey print edition last month, with a free distribution of 26,000, and will shortly launched in Jersey where the paper will be delivered to 42,000 residential addresses. The islands are currently served in print by paid-for daily titles the Jersey Evening Post and Guernsey Press, both ultimately owned by the Claverley Group. Express editor and co-founder James Filleul said: “Over the last few years we have built up a substantial audience for our news and classifieds website amongst islanders who want the latest local stories, set up in an authoritative and accessible way. “It is very difficult to beat ‘online’ as a format to deliver accurate and ‘up-to-minute’ daily news stories – but we soon realised that there was also an appetite for ‘deeper’ features, analysis, commentary and investigations, which would all work online – but tended to lend themselves to a print format, which readers could return to over the course of a week. “As well as breaking new local stories, the paper gives readers the deeper context which sits behind the daily news stories. Express director and co-founder Mark Jackson added: “The publication is funded entirely via advertising, there is no cover charge for the reader; since it goes into every home in the island, that means we can offer advertisers a very powerful platform, which combines the assets of print advertising – using a high quality paper stock and full colour throughout – with universal penetration of our market. “That combination of a daily news website, working in partnership with a quality weekly paper going to every home, is a media model which we are finding works well, and hope to bring to more areas of the country. Both the new editions of the Express will be printed in Portsmouth by JPIMedia. Have we redefined “circulation”? In my day paid titles were ABC (audit bureau of circulation) and a free title could only claim a VFD, verified free distribution, and this isn’t verified by the look of it, just proposed? For too long both the Guernsey Press and the Jersey Evening Post have taken their advertising client base for granted, continually hiking up prices despite selling less that 10k copies in Jersey and less than 8k copies in Guernsey. Its a bit like Sky tv – now people are walking away and going to a rival, the offer start to flow. But it’s too late. We, along with many other advertisers no doubt, cannot wait for this publication to launch, whose penetration is exactly what we’ve been waiting for. Well done Bailiwick for getting this off the ground.